These bride and groom Day of the Dead skeletons are a perfect addition to your All Saints and All Soul's Day displays. 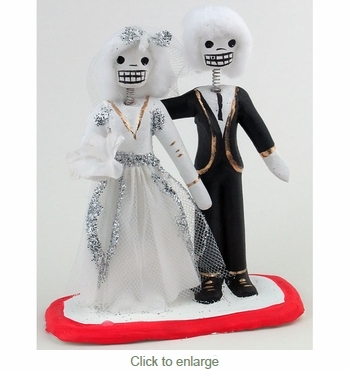 These unique figurines would also make a humorous and ironic wedding cake topper! All of our skeleton figures are handcrafted by Mexican folk artists.